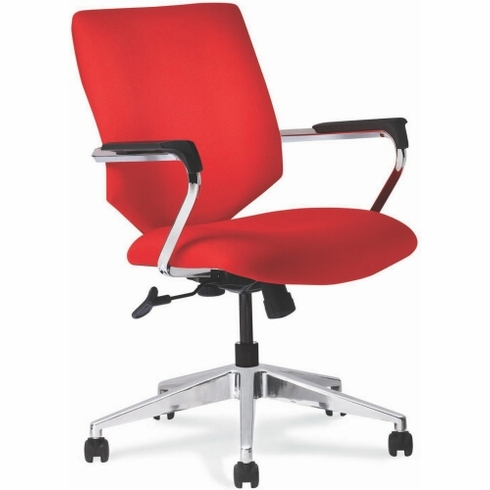 Allseating Twist Task Chair with Metal Frame  -Free Shipping! Twist is a smart solution that is custom made and appeals to the bottom-line. With its sculptured metal frame, tailored upholstery, flexible features and broad fabric and finish selection, the Twist task chair is designed to fit any working environment and is Ideal for creating stylish hospitality, hotel and conference seating areas. This chair normally ships within 20 business days from Toronto CA.